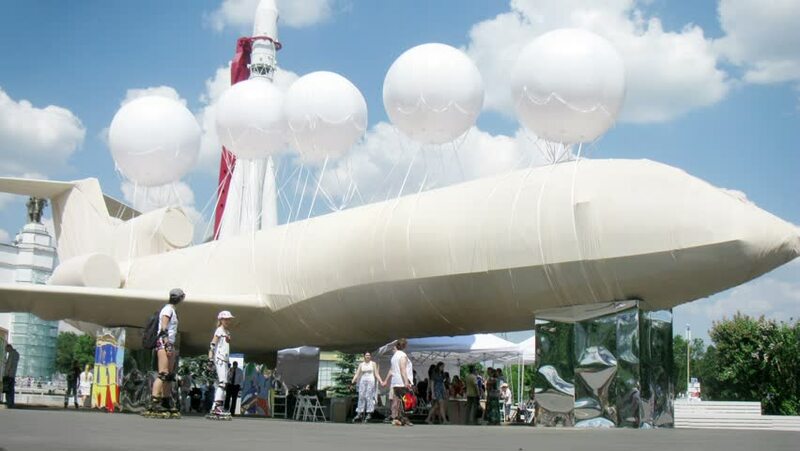 MOSCOW - MAY 24, 2014 (Time lapse): People walk around plane, which is wrapped in cloth, plane tied on air balloons on Festival of Science and curiosity Polytech in VDNKH, Moscow, Russia, 24 May 2014.
hd00:06MOSCOW, RUSSIA - MAY 24, 2014: Exhibits rocket and the plane decorated with balloons at the Festival Polytech in the city park of All-Russian Exhibition Center in Moscow. hd00:13Dubai, UAE - November 26, 2017: Exterior view of Dubai International Cricket Stadium at Dubai Sports City, It has a capacity of 25,000 spectators. hd00:06LAS VEGAS - APR 21: Pedestrian bridge near the Las Vegas Strip on April 21,2016 in Las Vegas, Nevada. The Strip has approximately 6.8 km(4.2 mi) long and featured with world class hotels and casinos.